Most IT leaders acknowledge that shifting their organization’s entire IT infrastructure into the cloud is a risky move. That’s why hybrid cloud is soaring in popularity – it offers a way to balance cloud and on-premises workloads. The tricky part, however, is pinpointing where different workloads should go. 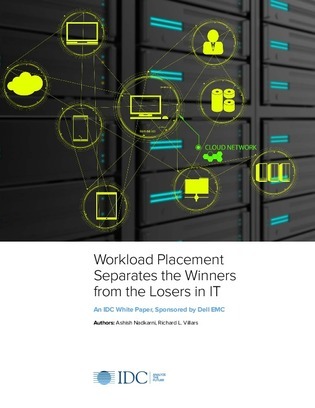 Inside this 23 page guide, find out what distinguishes winning workloads placements from the losing ones, and learn what steps you can take to avoid the latter. Download this resource from Dell EMC and Intel® to learn more.